Is this the first boat you have owned? What do you love most about your Princess? She's beautiful to look it ! and I love the cherry wood and I know it sounds corny but I get fantastic support from Boats.co.uk and there engineer Steve. He is brilliant but sometimes comes too early in the morning to fix things ! Princess Mitchie - named after the other half- Michelle. What got you into boating? A season working in Torquay. I kept looking at the water before and after performances and said to myself I need to get on the water. What's been your best experience on your boat? What made you choose your boat? Looks and layout. Everything is in the right place. Its like falling in love with a beautiful woman and pinching yourself when you go home every night and seeing that she hasn't run off. I am really happy with the Princess 61 for now, so I will keep her pretty and keep her. 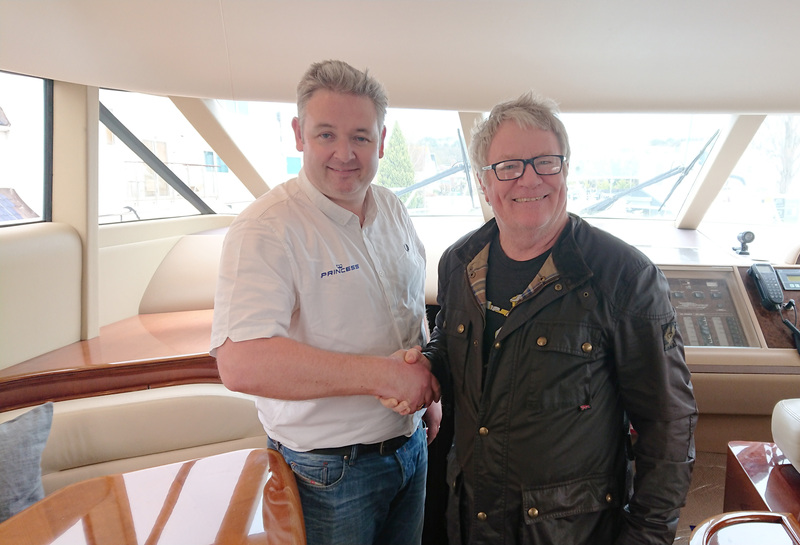 Jim was interviewed by James Barke, Managing Director at Princess East Coast and Poole (Boats.co.uk) on 7th February 2019.